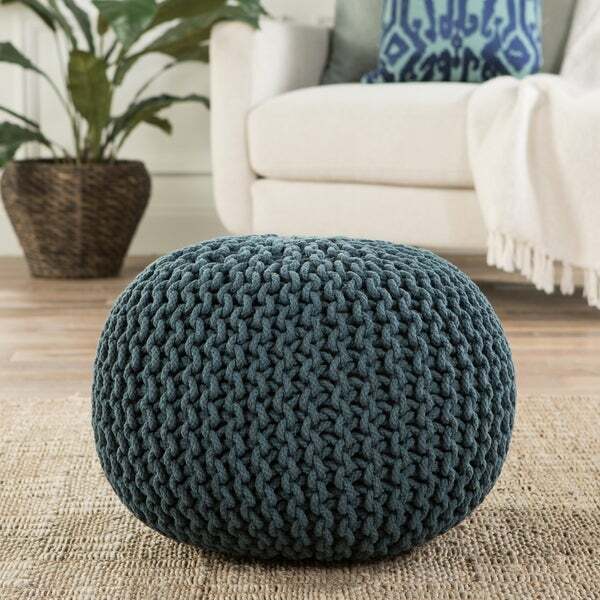 Bring texture and a pop of teal color to your decor with this Olsen round pouf. The cotton material provides softness for bare feet when used as an ottoman. Dimensions 20.0 In. X 20.0 In. X 14.0 In.